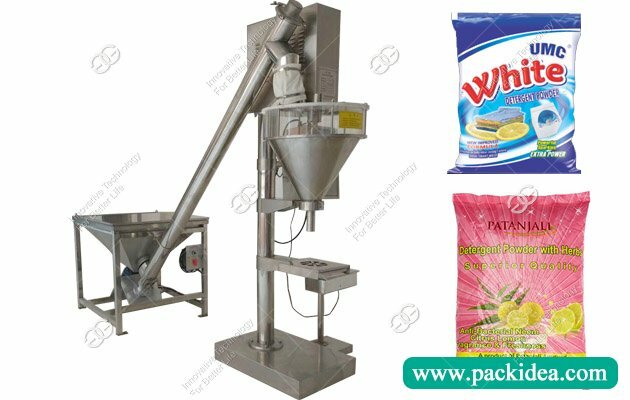 Application: This machine apply to pack sausage, fruits, shrimp, fish, and other products. 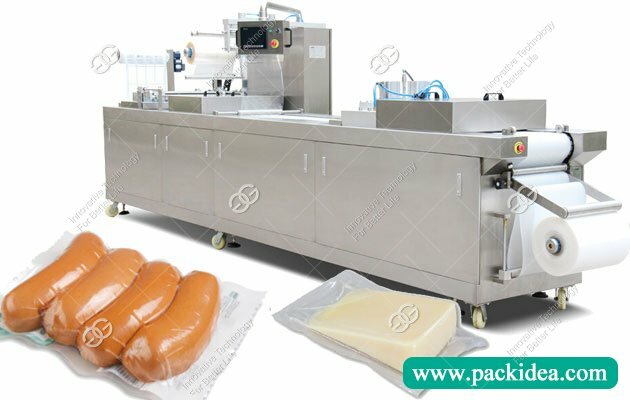 The principle of the fully automatic thermoforming vacuum packaging machine is the use of forming molds, first heating the film, and then using a forming die to form the shape of the container, put the products into the lower membrane cavity and vacuum pack it. 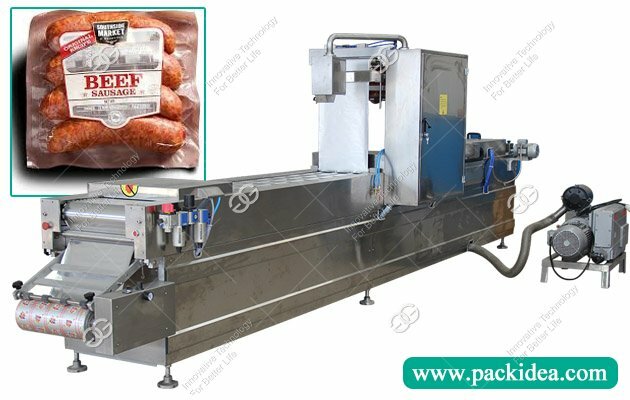 The sausage vacuum packing machine has a large output and does not need to be bagged. It is placed directly into the mold and the bag is automatically formed. 2. Membrane system is a full set of original mitsubishi servo, mitsubishi PLC and touch screen control, make sure machine convenient adjustment, stable performance. 3. Color calibration system, optional multi-purpose color cover film or optical film to pack, reduce cost, improve product class. 4. 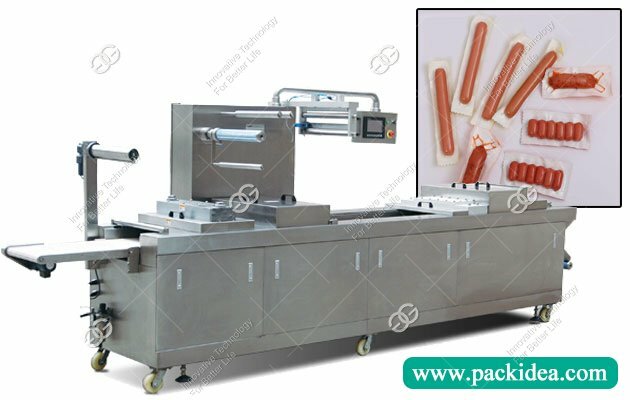 This sausage vacuum packing machine is easy to replace the mould with a single machine, and the mold is equipped with cooling system. 5. 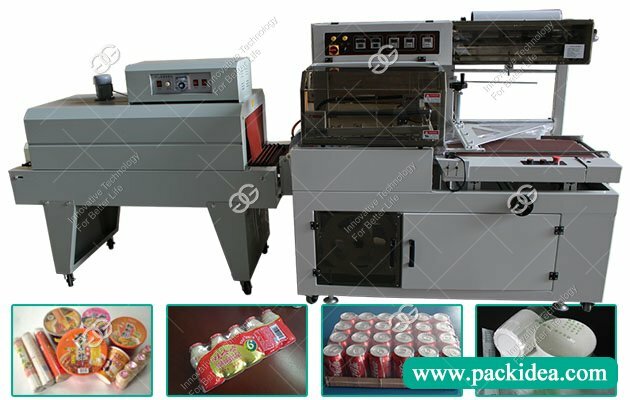 The thermoforming vacuum packaging machine adopt German import wide open chain, suitable for the stretching and forming of soft film, hard film and semi-hard film of various thicknesses. 6. Vacuum degree is high, stable quality, durable and reliable. 〇 Control system: adopt advanced programming controller; Color simulation touch screen. 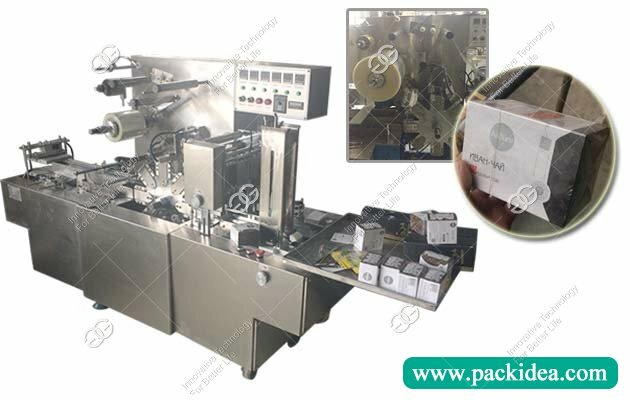 〇 Film delivery system: Panasonic servo high speed and high precision positioning film design, and the use of photoelectric tracking, to ensure the integrity of the trademark pattern. 〇 Mould: Upper and lower split combined aluminum alloy mold, can also be customized according to your needs, convenient and fast loading and unloading. High strength and corrosion resistance. 〇 Frame body: The aluminum alloy frame formed by one - time extrusion is not easy to deform and is more reliable. 〇 Vacuum pump: Adopt domestic famous manufacturer vacuum pump. 〇 Forming and sealing: The lifting structure of forming die and heat sealing die adopts pneumatic lever type independent lifting and self-locking system. 〇 Cross-cutting knife: Movable and adjustable independent crosscutting system controlled by PLC program. 〇 Upper and lower membranes: The system is equipped with a handle type transverse film adjusting device and can adjust the tightening force of the film. 〇 Waste recovery system: Adopt adjustable torque motor system. To make the collection of excess packaging materials more convenient. Besides the thermoforming vacuum packaging machine, we can also provide you with vacuum bags. 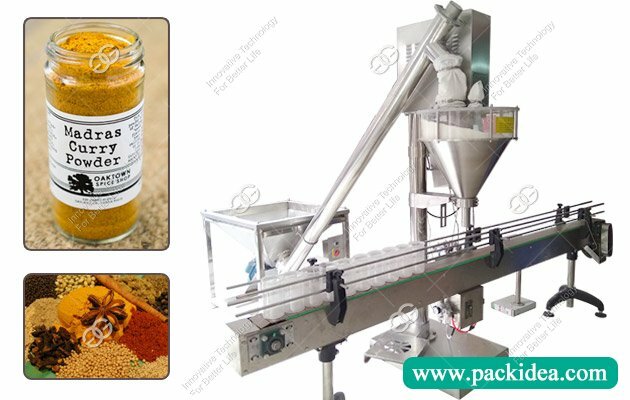 A: We are an experienced factory located in Henan, China. A: We offer 1 year warranty, exclude wearable parts such as silicone plate, film, heating wire etc. A:Normally, it need about 15-30 days. The exact delivery time depends on your quantity. Q: Can we visit your machine operation in your factory? A:Welcome to our factory and see the machine production, work and operation.